I’m crossing my fingers that this will be my last summer weather post. It’s so toasty warm here still that my sweaters haven’t awoken from their hibernation boxes quite yet. However, there is still hope! Tonight was the first night that there was actually a chill in the air! So I might be just about ready to be done with summer and dressing for fall. So excited!! 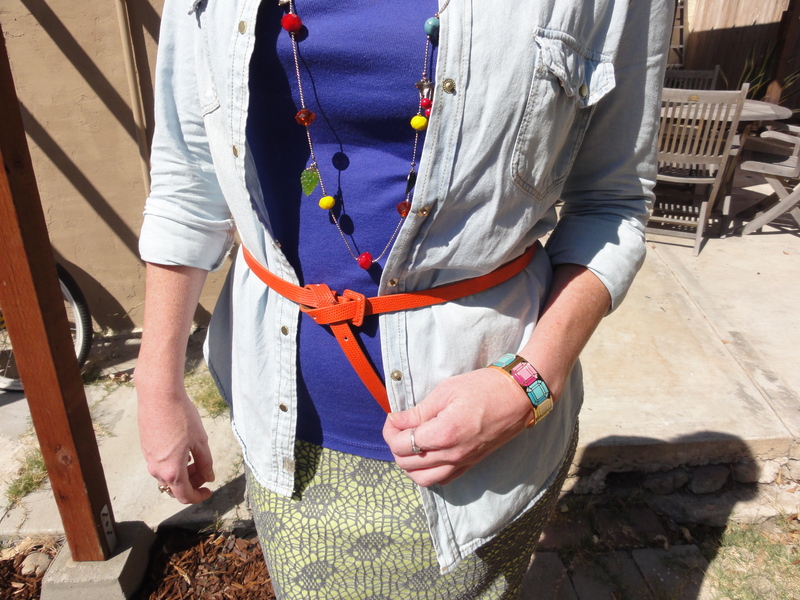 In the mean time, I’m still all about color… not that you couldn’t tell! Wander with me on my other social media accounts for exclusive photos and commentary! Anybody that even kind of knows me knows that I have a teeny tiny (ok, HUGE!) obsession with shoes. Like, it’s unhealthy. So when I got wind of the Sophia Webster for J.Crew collection, I nearly had a shoe induced heart attack! The only problem with the unveiling at NYFW is that I have to wait until Spring 2014 to get my hands on them! The torture!! I love when fashion and charity collide. It’s impossible to have buyer’s remorse when you know your purchase is doing some good! The Home T-shirt is a great way to do good AND be fashionable… basically the best combo ever, right? For every purchase, a portion of the proceeds will be donated to multiple sclerosis research. Now show your state some love! You read that right! On this week’s Lust List is Overalls! Remember those pants with a bib look you probably rocked in the 90s? They’re baaaaaack! So turn up some Nirvana and slip into some overalls, right now! Make them a little more modern by trying them in leather (or faux!) or a dark wash denim. I like these and these. I have spot reserved in my heart just for Kate Spade. The colorful girlyness is basically me spot on. I feel like they are reaching into my brain and making clothes specifically for me and my style. This season was no exception! Inspired by traveling through Europe, this collection is fun, flirty, and totally wearable! Is it Spring 2014, yet? The illusive and always sunglass clad Chanel designer, Karl Lagerfeld, is now sharing some words of wisdom with us underlings in his new book The World According to Karl. His notorious wit (in both the good and shocking spectrum) are synonymous with the man’s impeccable style. I’m looking forward to this collection of word gems. Here’s a small sampling of Karl Quotes: “Think pink. But don’t wear it.” “I like everything to be washable. Including myself.” “I only know how to play one role: me.” Releases September 17, 2013. 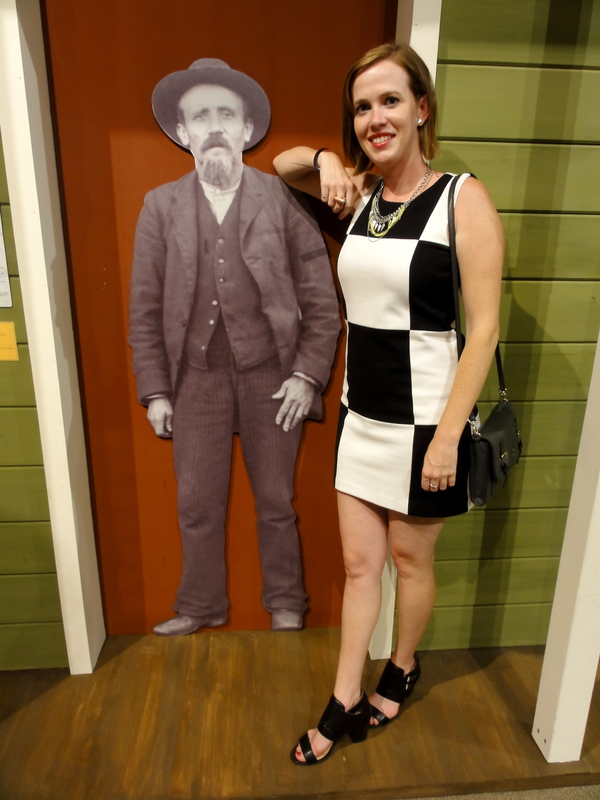 Oh you know… just chillin’ with my homies at the Saloon. It’s amazing how similar beer garden parties are today! This image was from the late 1880s! 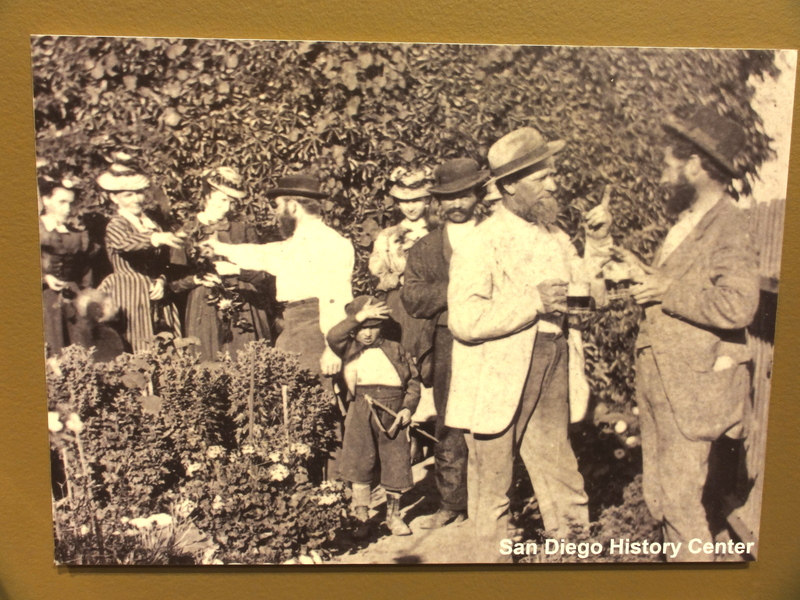 We were invited to attend The San Diego History Center’s History Happy Hour this past Friday and I’m so happy we were able to go! It was such a blast! There were about a dozen booths set up throughout the exhibit to taste beer created by home brew clubs from San Diego County. 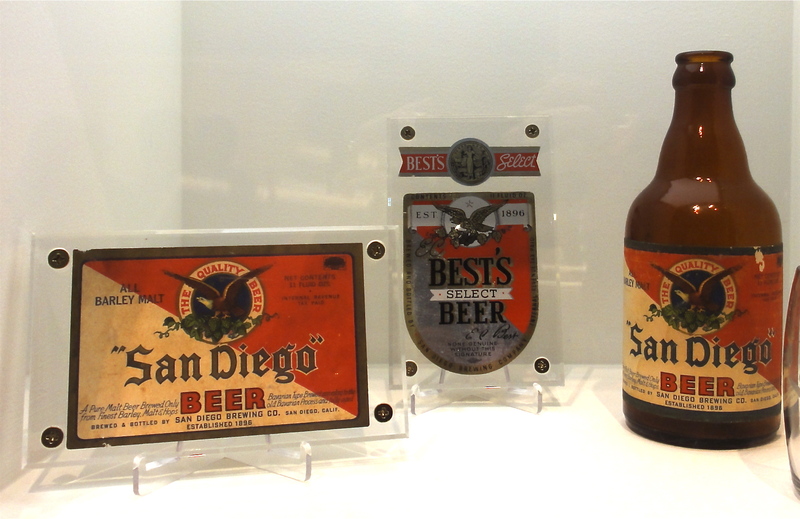 This whole event was to promote the Bottled & Kegged exhibition that shows San Diego’s beer history. I was surprised by how long craft beers have been produced in my home town! Some of the images and fact were dated back to the 1880s! 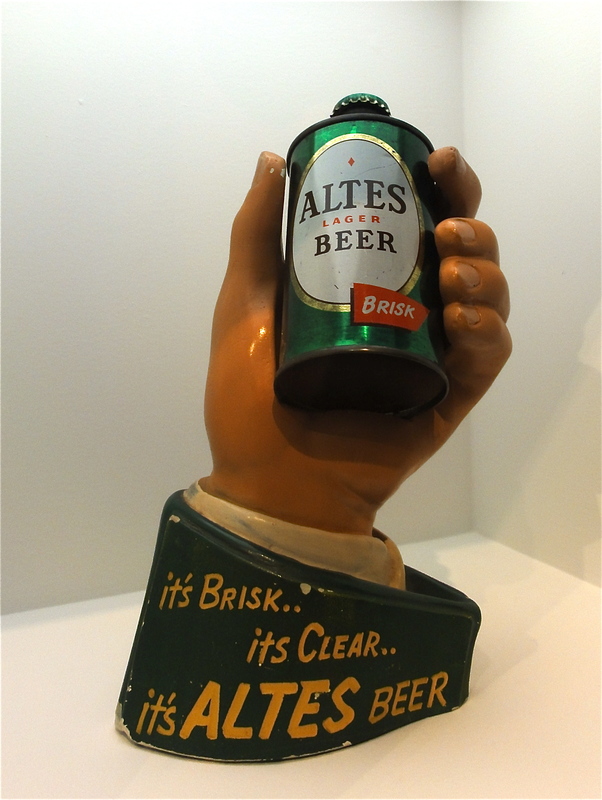 This is a must see exhibit and the History Happy Hours are a fun way to do it! Hope to see you at the next one on September 27th! This is not a sponsored post… when I find something great, I have to share it! 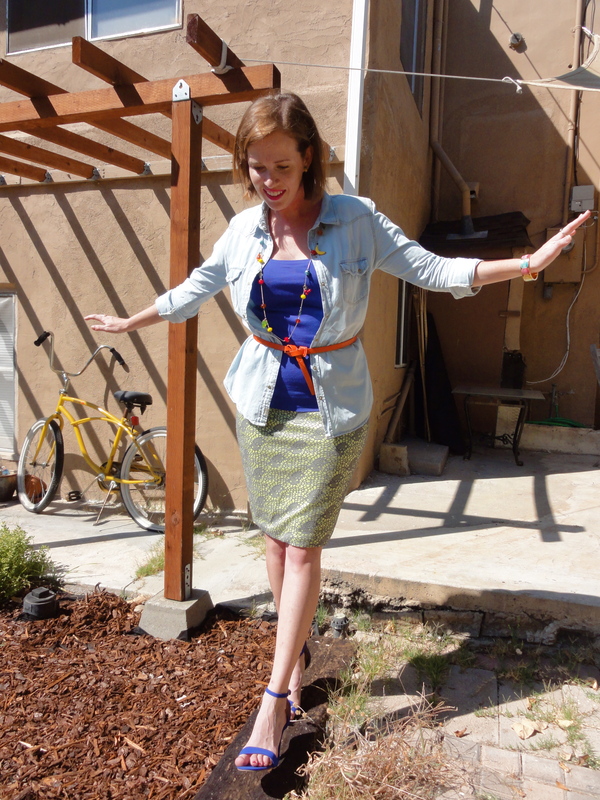 Remember those gorgeous shoes Sole Society sent me to style? Here’s the complete look! Since the Kadene shoe has such a great mix of tough and feminine, I decided to do the same with my overall look. 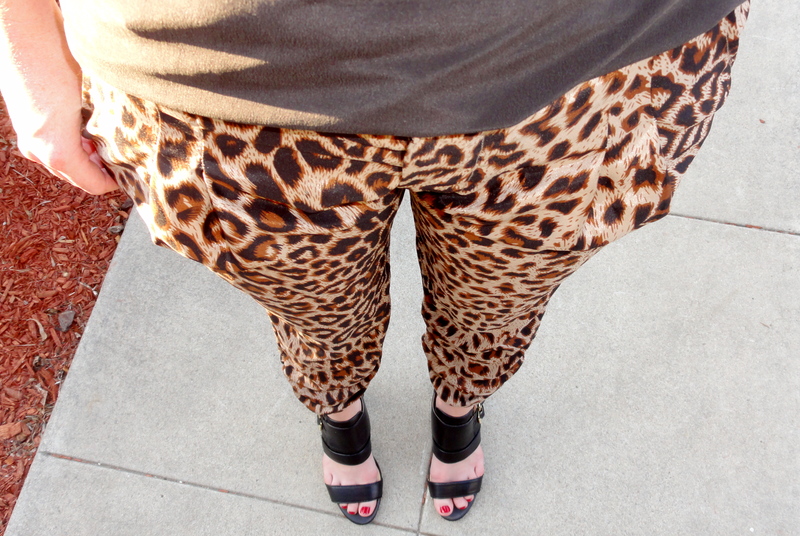 I wore a pair of leopard print slouchy pants (that I like to lovingly call my “hammer pants”) and topped it off with a simple silk blouse. 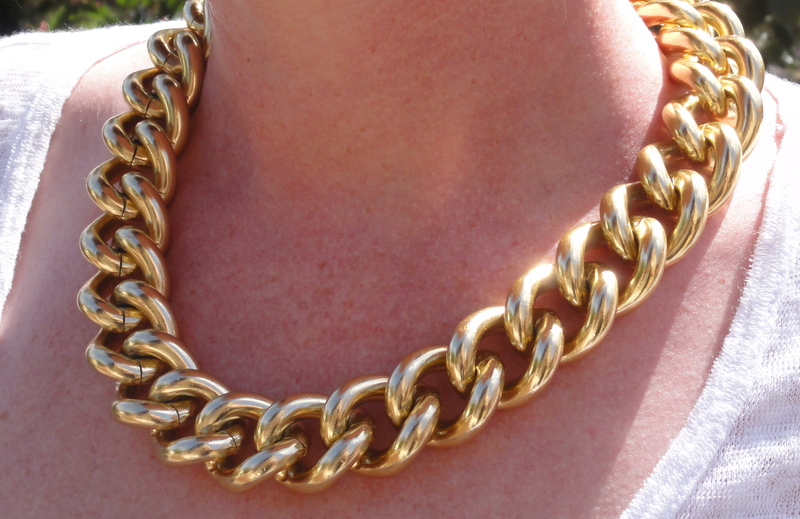 To toughen up the look, I layered on a few gold chain necklaces from H&M. Finally, I added a pop of color with my red patent leather Kate Spade dot bag and a red lip. 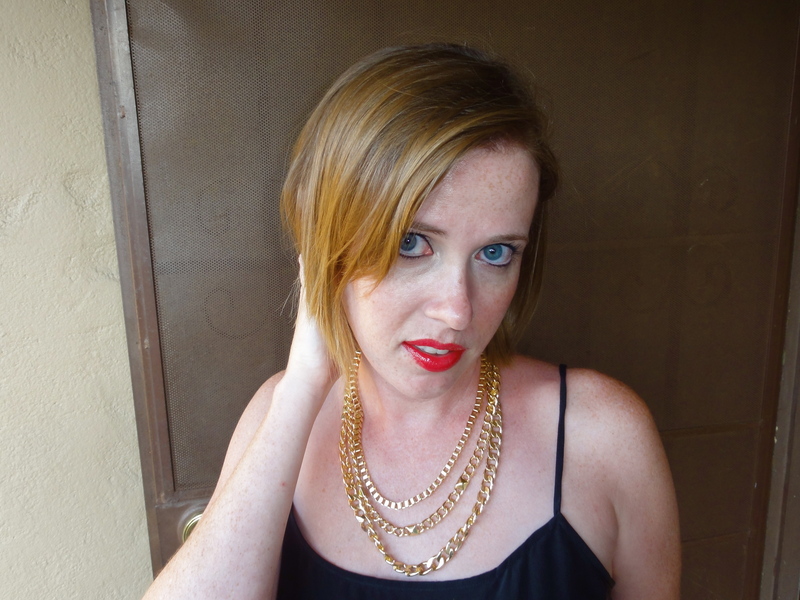 For those of you looking for a great red lip that actually lasts, try the YSL Glossy Stain (I’m wearing number 9). It’s really the best ever! These shoes are sure to be a staple in my wardrobe. They’ll look great with jeans, skirts, dresses… you name it! I’m in Washington to visit family and it’s gorgeous here! 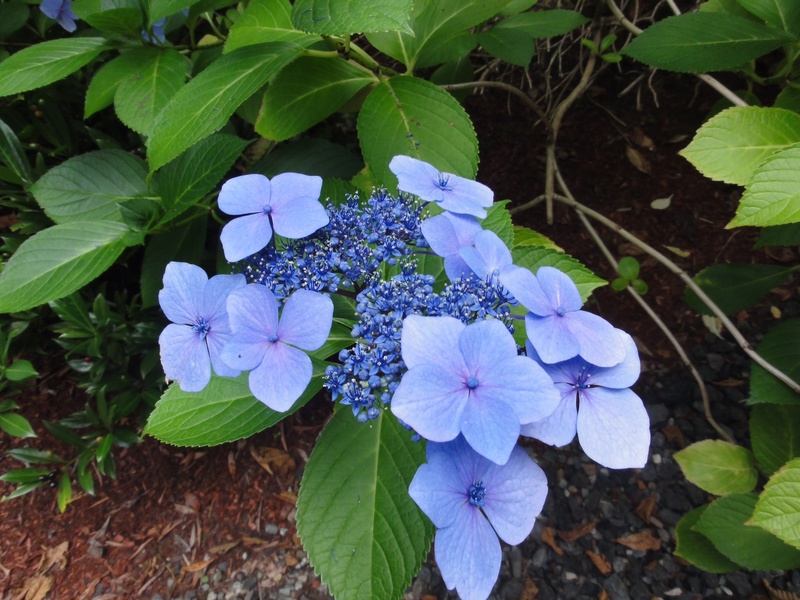 These blue flowers in my boyfriend’s mom’s yard are so unique and amazing that I absolutely had to take pictures in front of them! For my outfit today, red is my inspiration color. Red is all over the runways for Fall this year and I’m so excited about it! I absolutely love it. 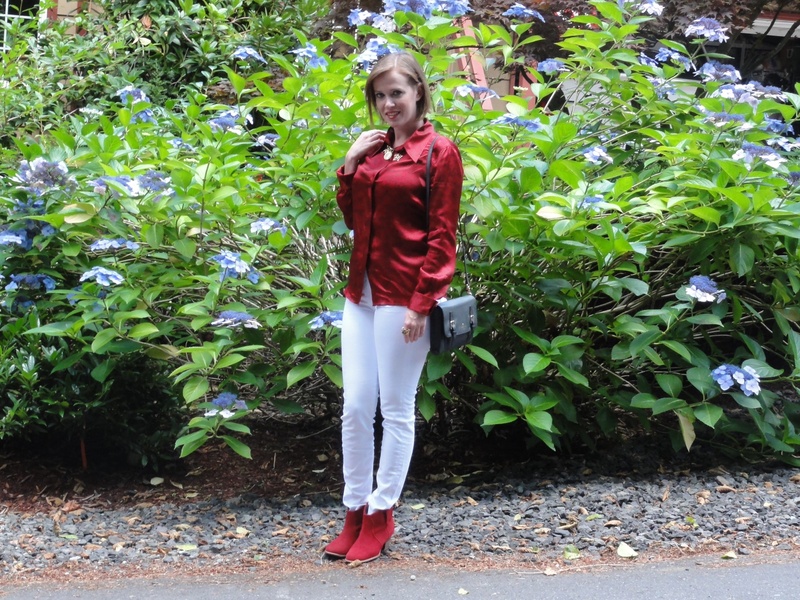 To make this look really pop, I paired my red silk blouse and suede booties with a pair of white jeans. One tip for suede shoes and white jeans is to do a color test first to make sure you don’t rub off color onto your jeans! Just take the edge of your shoe and gently rub the inside of your waist band (there’s usually a few layers of fabric there so it won’t show through). If it rubs off, it’s not a match! 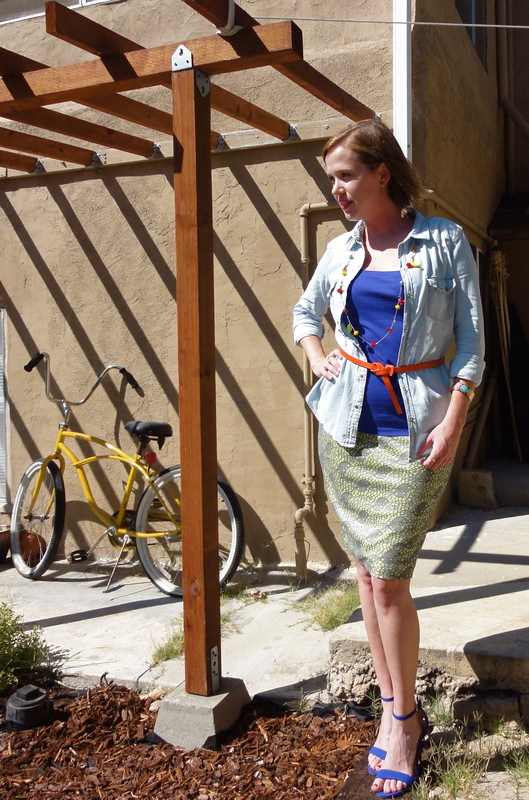 I love a bright silk blouse. It’s basically the easiest piece in my wardrobe to wear. You could wear it with blue, grey, or white bottoms and it requires only a few accessories. Ta Da! Instant style. This bright orange sorbet colored one is by Zoe & Sam. I got mine on Gilt.com so keep your eyes peeled for that great deal! 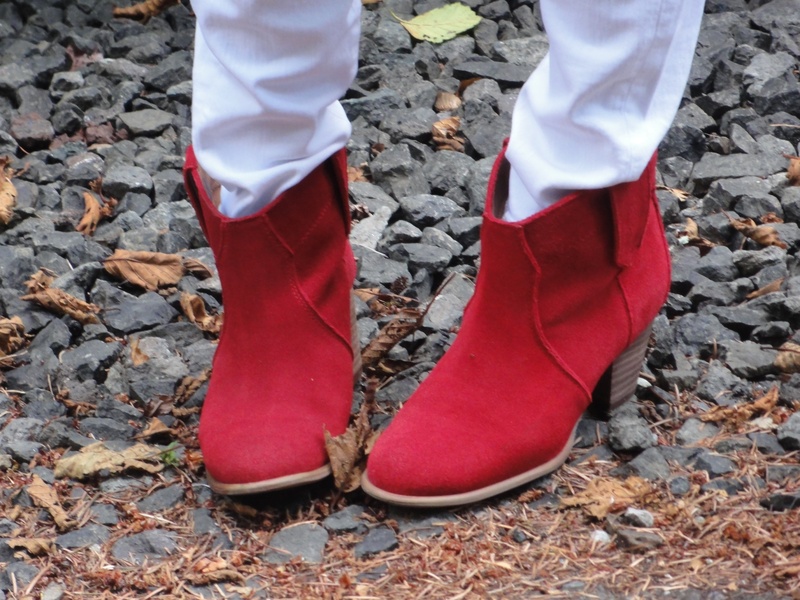 The booties are another one of my wardrobe staples. These are just cheapies I bought on Amazon about 2 years ago but I’ve worn them to death! The studs add a fun dash of excitement to otherwise boring tan booties. I’m very much all for mixing designer and not designer. If you love it, wear it! I’m a huge advocate for simplicity. You’ll often see me in the classic white t-shirt and jeans combination (I titled this Volume 1 for a reason!) 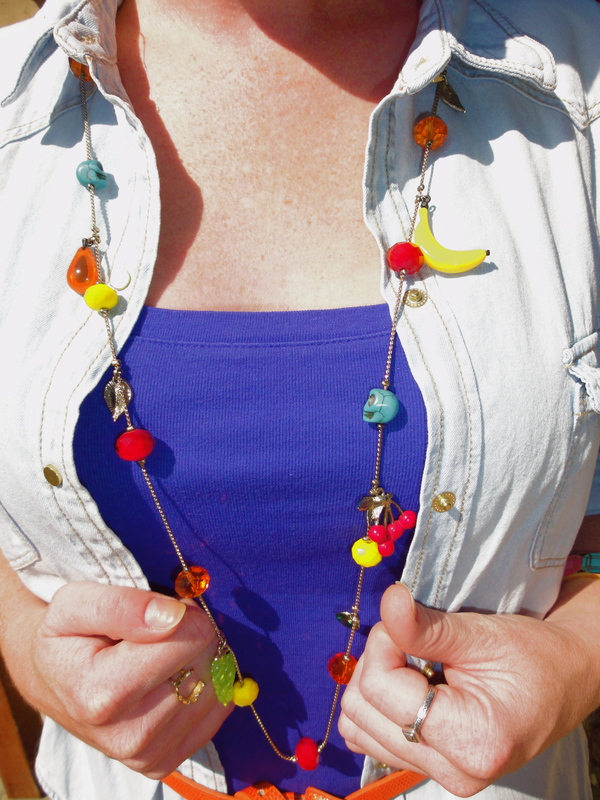 but I’ll add my style to it with some fun accessories. Everything gets taken up a notch with leopard print heels (am I right?!) so these Calvin Kleins were perfect. Choose a nice deep overdyed skinny jean with a little fading to keep it on the nicer side of things. I like to reserve my light blue jeans for a boyfriend cut or shorts. Otherwise I feel a little too… ’90s. 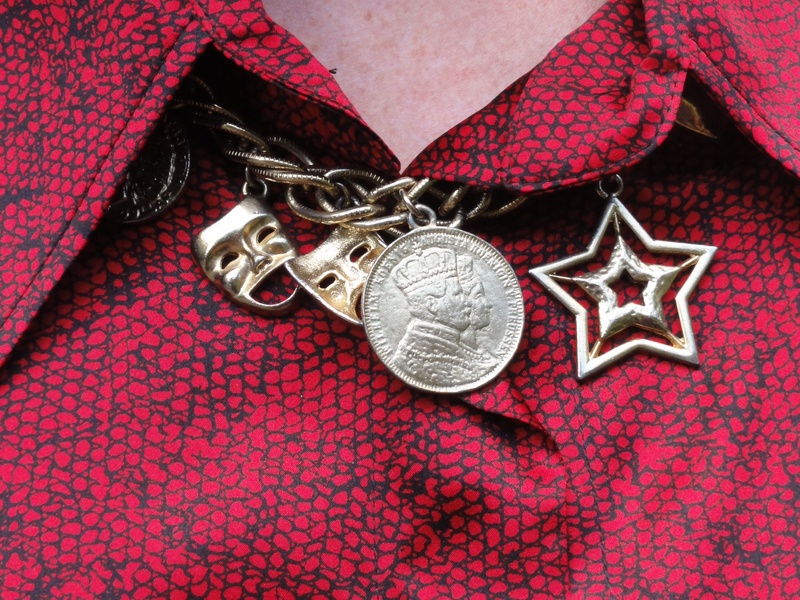 To top it all off, I pile on a bunch of fun jewelry! I found this necklace at a vintage shop in Laguna Beach that has since closed down. I was crushed to see it go! What a gem… Anyway, throw on a bunch of rings and that simple outfit now has some style! One of my favorite vintage finds ever! It makes every outfit better! I love wearing a lot of rings at once!! Don’t you? Don’t worry… you’ll be seeing these heels again! They’re on the regular rotation! Enter your e-mail below to wander with me. You won't regret it!